Give the gift of excitement and flavor! 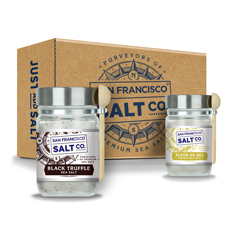 Our Gourmet Gift Sets contain a variety of gourmet sea salts specially selected to create a wide variety of flavor experiences. 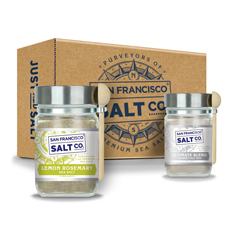 Whether that special someone in your life is a budding chef or a seasoned grill master, they are sure to enjoy experiencing a wide variety of salts and comparing their flavor profiles. 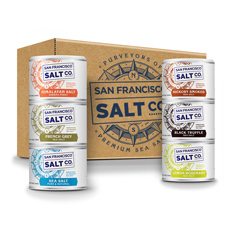 All of our gift sets arrive packaged in a specialty gift box that is sure to leave an impression!